In 2010 Middelburg Airshow was rated the second best airshow in South Africa. Now in 2016 after a five year break Richardt Lovett the Event Organiser and the Middelburg Aero Club team pulled out all the stops to better the 2010 result. In my opinion the organisers did exactly that and the Airshow was a resounding success. The weather was fantastic with blue winter skies and not a cloud insight, which except for the wind which picked up a notch during the show, lent itself to near perfect flying weather for the Middelburg Airshow. The Airshow was opened with an aerobatic display by Andrew Blackwood Murray in his Nashua Zlin50. This was followed by an aerobatic display with Neville Ferreira in his Yak 52. The Antonov AN-2 'Little Annie' ZU-JLM and the Atlas Angel then took off with the Paraglider and Skydivers. The L29 followed suite shortly thereafter piloted by 'Gringo' the legendry Glen Warden. Next was the Skydivers and Paraglider display. Then the Big South African Flag was seen hovering in the African sky being pushed and by a little wind and landed safely on the ground. The Goodyear Eagles Pitts Specials aerobatic team is a sought after performance on the South African airshow circuit, as well as having the honour of being the first ever SA team to perform across our borders, being invited to perform in Kenya on ten occasions did an amazing display with pilots Johan von Solms, Dennis Spense and Paul Coetzer. Next was a short model display of the radio controlled Jets. The Legendary Flying Lions led by Scully Levine with their now non- branded T6 Harvards then took to the skies to display some of their daring feats and magnificent aerial display talents. This was followed by Pilatus B4 Glider display piloted by Gary Whitecross. Derek Hopkins flew the Lambada as the tug-plane. Nigel Hopkins was next up for his solo aerobatic display in his Extra 330 SC which had the crowd entertained and riveted to their seats while he pushed, pulled, twisted, turned and flew his Extra to the extreme. Neville Ferreira in his Slick 540 then went on to do a really slick aerobatic display with much applause from the crowd. The A Team - Torra Pitts were next with Scully Levine, Sean Thackwray, Arnie Meneghelli and Ellis Levine with their aerobatic display. Next up was the display of the Gyrocopter ZU-RLL. Followed by a Rhino Anti-Poaching display in ZU-HBH. The Raptors three ship display was next to please the crowds, piloted by Pierre Gouws, Nigel Hopkins and Trevor Warner. Next up was formation flying with the L39 ZU-IBN flown by Pierre Gouws and the Impala ZU-IMP 479 flown by Mike Wyngaards. Pierre Gouws then had some fun time in the American T28 Trojan. Just as the sun was setting we had a four Jet display with the L39 ZU-IBN flown by Pierre Gouws and the Impala ZU-IMP 479 flown by Mike Wyngaards the L29 piloted by Glen Warden and the L-29 Austrian Eagle ZU-DNW flown by Koos Kieck. The Airshow ended with a magnificent Fire Works Display. WOW what a show. 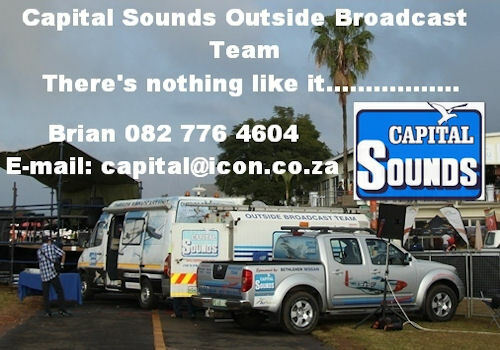 As always special mention must go to the ATNS crew, The Flight Display Director Rikus Erasmus, Flight Display Safety Office Koos Kieck, The Events Organiser Richardt Lovett and Charlie Marais together with Leon Du Plessis and the team from Capital Sounds, for a safe and enjoyable Airshow.